No business owner enjoys seeing absenteeism patterning among his employees. Not only are excessive employee absences an inconvenience, but if employees miss too many days, it could cost your company money in terms of lost labor or the need to hire a temp to cover the vacant shift. Employee absences can never be eliminated, of course, but choosing the right absenteeism policy and knowing how to enforce it in your team could help to reduce absenteeism’s negative impact. There are two main types of absenteeism policies: excuse based and no fault. The excuse based absenteeism policy operates exactly as its name implies, by requiring employees to provide a valid excuse for their absence. This excuse can vary in form, usually depending on the size of the company and the level of trust among workers, but usually, employees will need to provide a phone call, email, or doctor’s note explaining the reason for their absence. 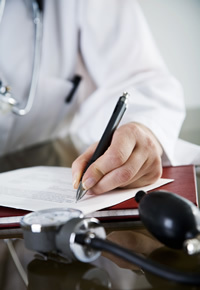 Some employers require a doctor’s note for each absence, while others only require professional verification after a certain threshold has been reached. In either situation, if the employee’s excuse appears to be valid, they are not disciplined in any way for their absence. Excuse based policies often result in a lower number of absences as a result of the sometimes-difficult nature of getting a valid excuse. Some employees who would otherwise be tempted to take an unneeded sick day are deterred by the thought of having to obtain a doctor’s note or some other form of proof. However, discouraging absences in an excused based system is sometimes tough because most companies do not establish a cap on the number of days each employee is permitted to miss each year. Therefore, if an employee has no qualms about faking sickness to stay home from work, they could accumulate a large amount of absences. However, in many cases, a gentle reminder is all that is needed to set an employee back on the right path. If you talk with the employee about the amount of work they have been missing, it sensitizes them to the fact that you do notice how many absences they have, and if they’ve been taking unnecessary days off, perhaps this will deter them. Be careful not to offend the employee, though. If their absences have been legitimate, you do not want to accuse them of skipping work. Instead, simply use this discussion as an opportunity to express your concern for the employee’s health and to inquire after their general well-being. This shows the employee that you’ve noticed their absences without leading them to believe that you suspect them of dishonesty. Obviously, employers would have to allow for exceptions in cases where extended or frequent absences would be warranted, but for the most part, this type of policy tends to work well for large companies. However, like the excuse based system, this policy does have its drawbacks. If employees know, for example, that they can miss three days of work with no consequences whatsoever, many employees might be tempted to take advantage by calling off unnecessarily simply because they can. And under this system, you technically can’t penalize them for it. There are things you can do to reduce the problem, however. If an employee’s absences tend to cluster or follow a pattern (all near the end of the year, for example, just before their number of absences is reset to zero), then they could possibly be taking advantage of the system. As with the employees who take advantage of excuse based policies, a simple talk is usually all that’s needed to fix the problem. When you sit down with the employee, remind them of your company’s policy without implying that they’re using sick days unnecessarily. Make sure they understand that these days aren’t “freebies,” but instead can – and do – drain company resources. Remember, your goal is not to make accusations, just to make them aware that you’ve noticed a pattern. The decision of which absenteeism policy to implement will require you to reflect on your company’s size, resources, and culture. Either system can be made to work well for any type of company, but only you can decide what will work best to promote productivity in your business.